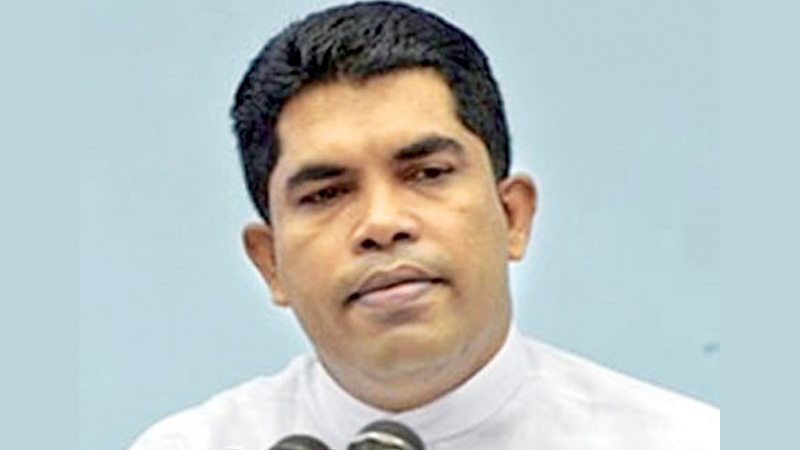 Explaining the reasons for abstaining from voting at the Budget 2019 Third Reading in Parliament last week, SLFP Youth Front Leader MP Shantha Bandara said as the highest budgetary allocation was for the President’s expenditure heads, it was counterproductive to vote against it. Meanwhile, Gampaha district organiser Kelum Basnayake said this year, measures are underway to hold the SLFP May Day Rally in Gampaha. He said so far the SLFP May Day Rallies have been held in Colombo, Galle etc. in a very successful manner and they expect this year’s May Day Rally in Gampaha to be the most successful rally ever held. The SLFP Youth Front held a media briefing at the SLFP Headquarters in Maradana yesterday headed by its leader MP Shantha Bandara, Gampaha District Organiser Kelum Basanayake, Kalutara District Youth Front Secretary Asanka Ediriweera and several others. The SLFP Youth Front members also spoke about the programme to provide guidance to youths to assist them in business, trade skills etc which commenced from Polonnaruwa and extended to Puttalam and then to Colombo. They noted that this programme will reach Batticaloa today where the career guidance programme will be held under the patronage of President Maithripala Sirisena.